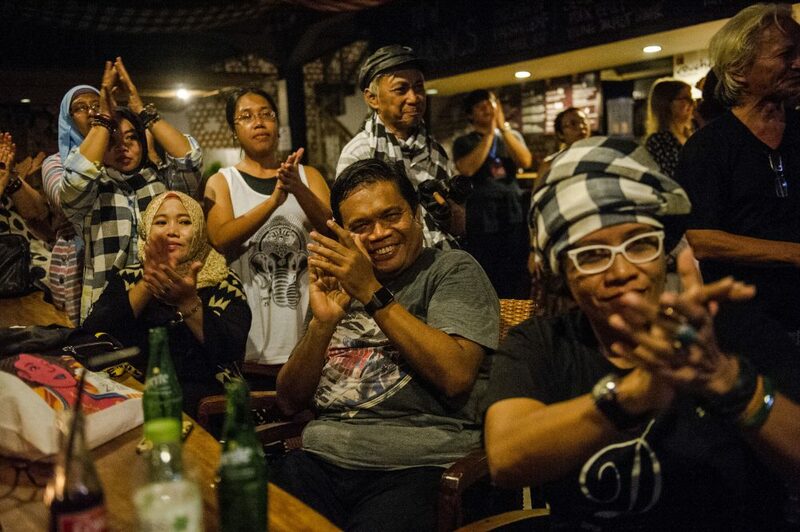 After a full day of inspiring conversations, stimulating ideas and extraordinary stories at the UWRF Main Program, what better way to while away the evening than with invigorating live music, powerful poetry slams, and innovative multi-arts performances. For those who like to groove and be moved by bold voices, here are eight highlights of our eclectic After Dark program held at Taman Baca, Betelnut and Bar Luna. Best of all? These eight events are all free! Bar Luna welcomes back rapper, poet and lyrical powerhouse Omar Musa for a triumphant evening of deeply personal stories and riotously political songs. In his acclaimed one-man show Musa mashes poems, live music and stories to confront heartbreak, human connection and the dark realities of Australian culture. Settle in for an evening of music and performances inspired by the poetry of Sapardi Djoko Damono, the recipient of this year’s UWRF Lifetime Achievement Award. Hujan di Bulan Juni (Rain in June) is one of his most beloved poems, and tonight it will come to life through immersive sounds and theatre. Beginning life as an art installation then evolving into a digital graphic novel, Chinese Whispers traces the search for identity in history through gentle excavation of real life stories. Jakarta-born ethnic Chinese creator Rani Pramesti and illustrator Cindy Saja join UWRF to launch the English language edition with this premiere screening.